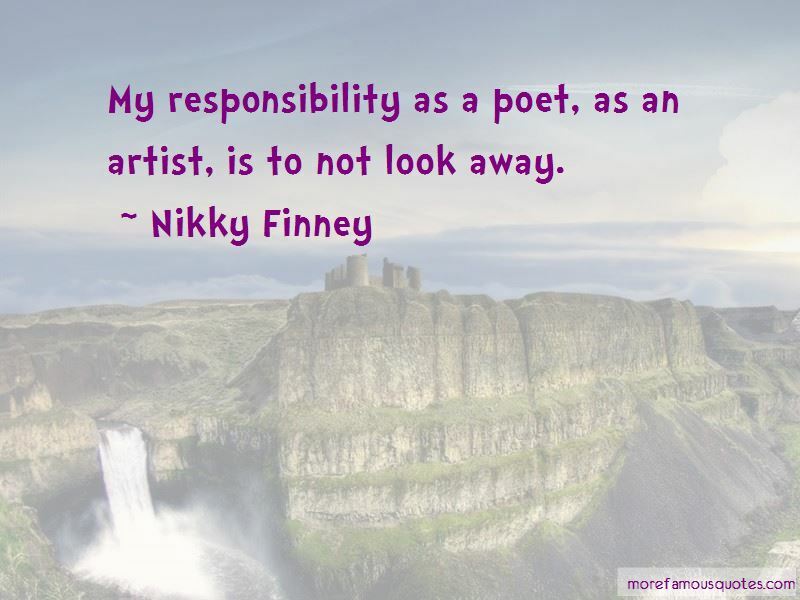 Enjoy the top 5 famous quotes, sayings and quotations by Nikky Finney. Watch your life as if it were a film. Absorb everything. 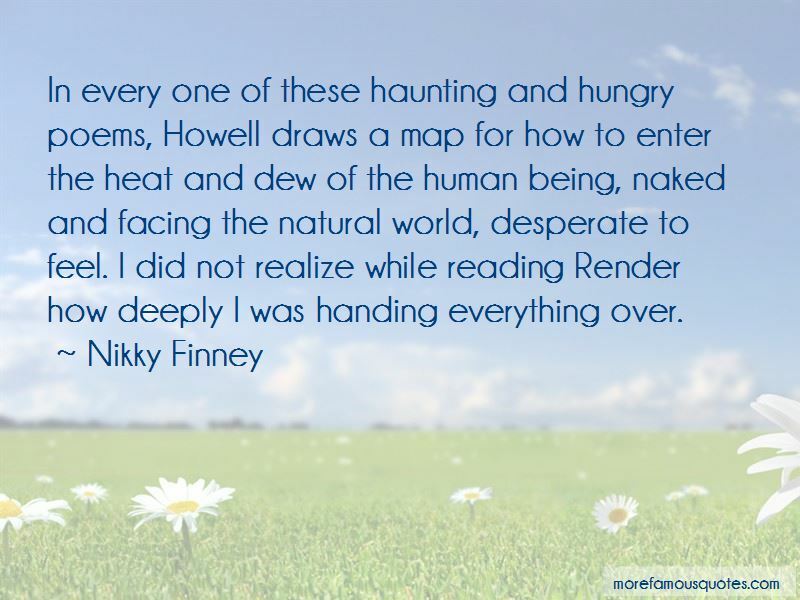 What you see, hear, and feel will stamp every alphabet of your work. 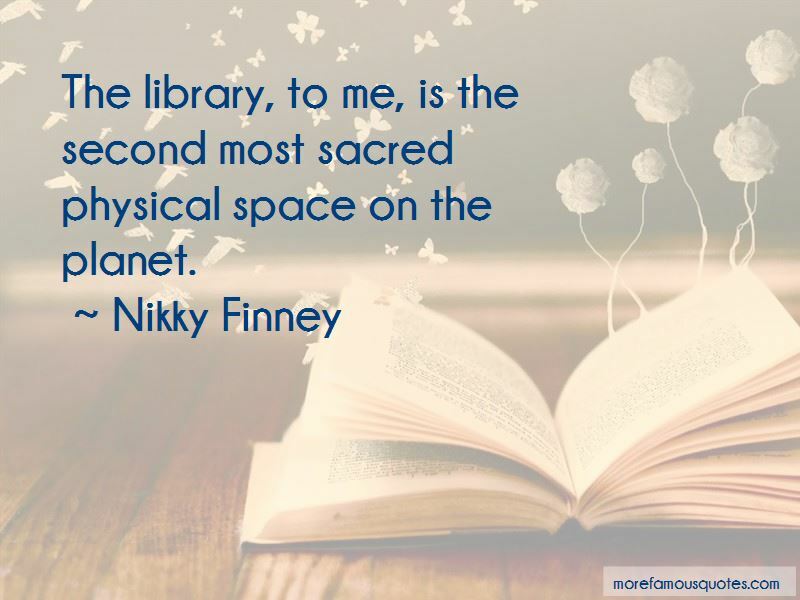 Want to see more pictures of Nikky Finney quotes? 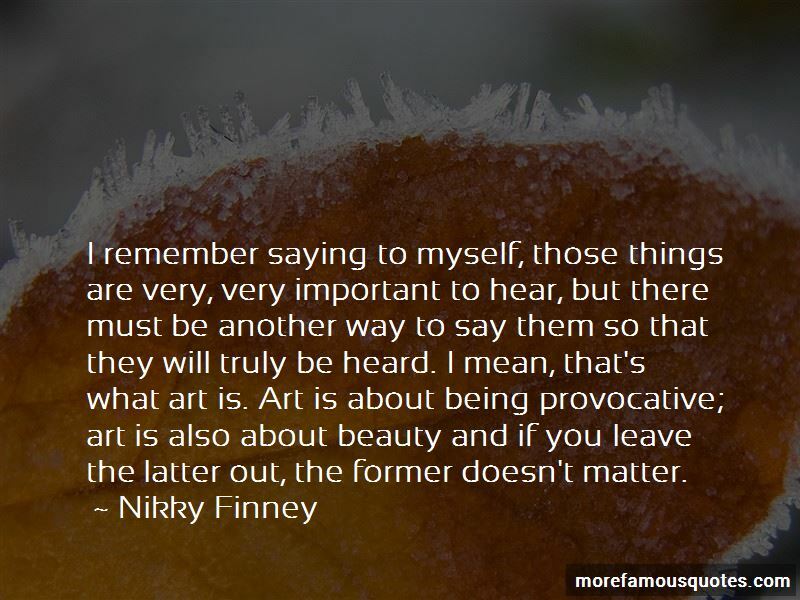 Click on image of Nikky Finney quotes to view full size.